Heaven on earth for feistiest of wildlife lovers who crave to explore its extreme wilderness and virginity of beauty, this is Jim Corbett National Park for you. Pristine magnificence of its greenery imbibes tourist’s senses to make them realize significance of natural beauty in its innocent form. Vegetation of the park is impressive as it provides scenic views of all forms of flora and fauna diversity at one place. It is a well known tourist’s spot, which provides protection to world’s most endangered species of royal Bengal tigers. If you are planning to visit Corbett National Park this year it’s imperative to accommodate the best Corbett hotels for a comfortable stay. Located in extremes of gigantic Himalayan ranges in Nainital district of Uttarakhand, parks natural beauty motivates beauty lover within us. 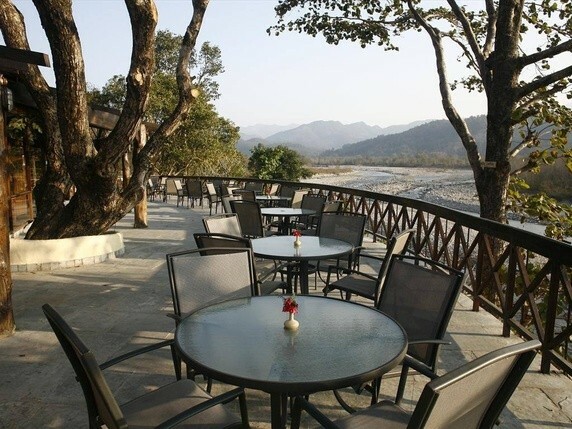 Exotically designed to pamper your senses and provide comfort in proximity of Kosi River, Corbett Leela Villas resort is at its perfection best for tourists looking for one of the best hotels in Corbett. Its sharp and elegant interiors ideally reflect jungle wilderness of its surroundings area. Furniture and décor of the resort are tastefully chosen to portray perfect ambience for tourists worldwide. – Exotically planned rooms with mini bar facilities, LCD television, Jacuzzi, dinner buffet and scrumptious lunch facilities. – Recreation room with Table Tennis and Snooker facilities, swimming pool with private lawn area. Ethically designed to match jungle ambience of its surroundings, Infinity Resort is among the most preferable choice for tourists worldwide. 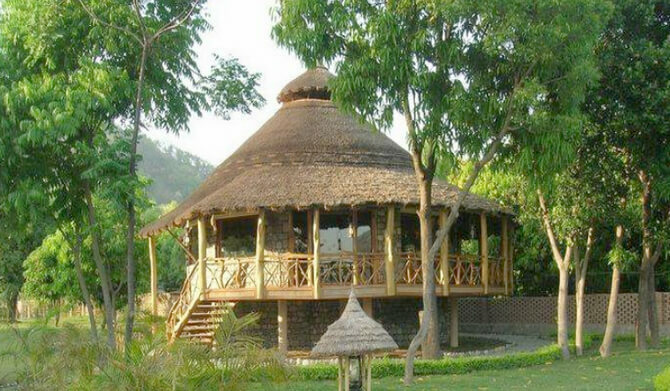 It reflects a high standard of jungle accommodation which is unique to find in India. Décor, furniture and artifacts ideally capture tough life of jungle. – 24 twin bedrooms with attached lawn area amidst mango grooves. 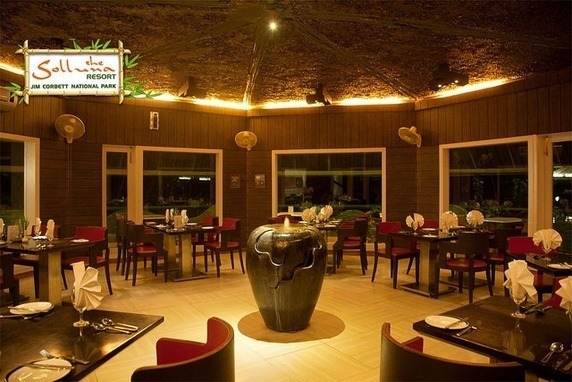 – Multi Cuisine Restaurant, Fully Stocked Bar, conference hall, safari deck facilities. 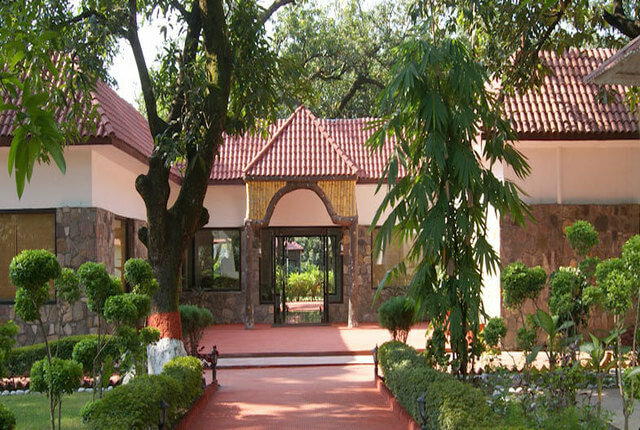 Situated amidst splendid valley of Merchula, Solluna Resort is designed to render comfort and luxury of fine stay. It provides distinctive approach with stylishly luxurious interiors with unique modern amenities. – Round the clock security, laundry & dry cleaning, rain dance arena. –24 Hr complete power back up, swings for kids, sports arena.